Since I’ve returned to Stockton for work after several years on the East Coast, I’ve noticed something quite puzzling in how most Stocktonians view the revitalization of downtown. Many believe that the key to revitalization is getting panhandlers and mentally ill individuals off the streets. Once we do that, people will feel safe enough to come downtown. Seems like a simple enough formula, but unfortunately, it’s completely misguided. To put it bluntly, the revitalization of Downtown Stockton does not hinge on removing transients. Instead, we should focus on getting people to use our existing public spaces on a regular basis, with a longer range goal of bringing housing into downtown. Instead of trying to take people away, our resources should go towards bringing in more people overall. 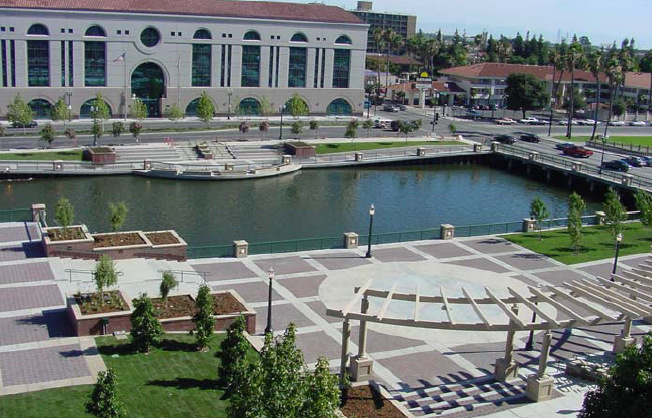 Downtown Stockton’s public spaces remain underutilized, which improperly gives the impression that the area is unsafe. Stocktonians can combat this misconception simply by making better use of spaces such as Dean DeCarli Square. Stockton’s situation is no different than any other large or mid-sized city’s when it comes to homelessness or under-housed individuals in downtown areas. Go to any city that matters and you’ll find public squares and plazas are not devoid of transients. The difference is that while Stockton does have very nice public spaces—Weber Point, Dean DeCarli Square, the waterfront promenade—we don’t use them enough. Aside from events, these venues are greatly underutilized and underappreciated by most. Stockton doesn’t really have that many more homeless than the next city, but because our spaces remain mostly empty, the image of an unsafe downtown is exacerbated by a handful of unsavory individuals who stand out amongst a mostly empty landscape. Here, we are afraid to use our public spaces because there might be a few characters that make us feel uncomfortable. But if we can’t get rid of these individuals, how in the world will people want to spend time or even live in Downtown Stockton? The answer is that there is already a market for Stocktonians who are ready to live in Downtown right now. Stocktonians who are not bothered by someone asking them for money or walking down the street talking to themselves. Young adults, artists, Stocktonians craving an urban environment; these are the people who will be the start of that critical mass. Once these individuals move in, more people are on the streets, and suddenly, it feels safer. All it took was a shift in priorities, adding people rather than trying to take people away. This isn’t wishful thinking, either. Some of the most affluent neighborhoods in the country routinely mix white collar residents with less fortunate folk. Case in point, I lived in one of the safest, most popular neighborhoods in Washington DC, and even then I regularly came across homeless individuals. But these encounters don’t stop Washingtonians from paying nearly one million bucks for homes in the area (or paying nearly $2,000 in rent to live in a tiny basement of one of these million-dollar homes, as was my situation). The same could be said of my time in Baltimore, and there are countless other examples in cities large and small across the country. Sure, there are transients, but they are greatly outnumbered by other individuals enjoying parks, plazas and public areas. This is what Stockton should aspire to. If people want a homogenous, non-threatening experience, downtown isn’t that place, and we shouldn’t try to make it that. This is not to say that homeless and mentally ill Stocktonians shouldn’t receive help. We absolutely have an obligation to help those who are down on their luck. But altruism should not be confused with an economic development strategy as helping individuals get off the street isn’t what’s going to bring people into Downtown Stockton. Ultimately, housing is needed to get people invested in the area 24 hours a day. Once people are here at all times, we can really get the ball rolling with downtown revitalization. But what can we do in the interim? Housing will not spring up overnight. My modest suggestion is that we all need to fill our public spaces more. Get lunch to go and enjoy it in the park. Read a book at Weber Point. Hold a meeting in outdoor areas. Go for a jog along the water after work instead of inside on a treadmill. There are something close to 70,000 employees, students, and individuals in the Downtown Stockton area on any given weekday, but you wouldn’t know it based on how few people you see on a regular basis in public areas. Housing might be a long-term goal, but we can all do a little more to populate our public spaces. ← Will the county leave old courthouse standing in Downtown Stockton? I worked downtown for the last 5 years before changing offices last February. I used to wander around during lunch. I noticed that nobody leaves their offices. I think that a food truck court one day a week would be great, say on Fridays, just to get people out of their offices and into the streets. It could be in the parking lot at Weber Point. Do the same thing on Saturday afternoon and mix in a craft fair and Farmers market. Get some local bands to play. I used to go to the farmers market on Main street every week. The people are there, you just need to give them a reason to venture outside. Mike, that is exactly what we should be doing. There are lots of people here in Downtown that don’t leave the office building all day except to leave, but we need to give them a reason to come outside. Read the paper … downtown has horrible events- like a movie theatre with fights and shootings. Who needs it? And usually no security visible anywhere downtown. The city still shows too much inertia confronting it’s #1 problem: crime. And #1B – restructuring the budget. “Santa Cruz, combining redevelopment and merchant money, hired six private security guards last year. Two or three constantly patrol its Pacific Garden Mall. In the first month – September 2010 – the guards made 1,100 contacts downtown: warnings for disturbing the peace, smoking, lying on the sidewalk, etc. [>>>] Today, downtown crime is down one-third over this time last year[<<< (pardon the arrows)], said Santa Cruz police spokesman Zach Friend – private patrols are one reason." Before you have housing downtown you need retail. In your article you say “There are something close to 70,000 employees, students, and individuals in the Downtown Stockton area on any given weekday” but there is no place to buy anything except a decrepit thrift store on Weber or Miner. In urban cities, such as San Francisco, you have a Walgreens on almost every corner. The mom/pop grocery stores downtown do not carry any fresh fruit or produce to create healthier alternatives to the Mexican restaurants on every corner. Also, the working people downtown are lucky to have a half or one-hour lunch that isn’t spent just getting a break from the madness dealing with the office. I’ve worked downtown for 30 years and it still has the same problems no matter how many creative minds are out there. Until you hold property owners responsible for the upkeep and safety of their business no one wants to venture through the maze of drug-addled and delinquents. 70,000 people within a certain radius of downtown (3 miles, I believe). What most people don’t realize is that fact is stated as “Live and Work” and that the Miracle Mile is only about 1.2 miles from the downtown core. This most definitely resonated within me. I like how you wrote about the lack of use in our public spaces. I find a sense of fate in coming across this because myself and a friend of mine are planning things that could use these spaces an get mobs of people downtown somewhat regularly. I see big things happening. I see the problem as the city and state not making an easy venture for small businesses and nonprofit organizations, as well. There needs to be incentives for people to want to move into the downtown area. Plus, a sense of community ownership. Not just a few corporate buildings among a landscape of old rundown, sometimes vacant, buildings. Also, I think there should be more of a concern with revitalizing Stockton all together than simply just the downtown area. Why are the most people concerned simply with revitalizing downtown. We should focus on making businesses prosper more so like the miracle mile, and the port itself should be utilized with business. Cheapen things down. It’s an economic emergency. Put the ability to revitalize the community, back in the hands of the community. Small businesses will do this for the community and eventually for downtown and that’s when you can talk about revitalizing buildings turning dowtown into a more residential place.